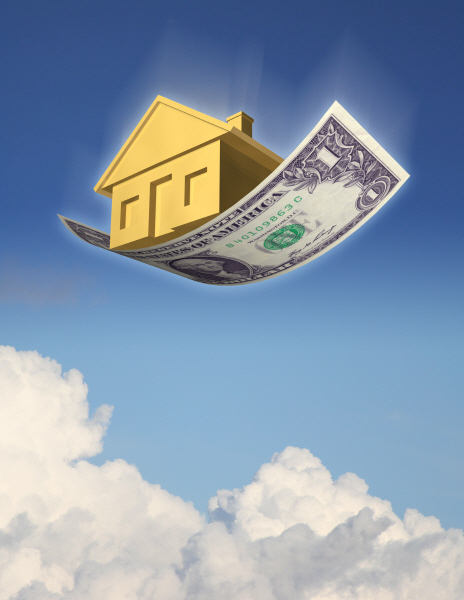 For many real estate investors, it’s tough to make a profit. It’s not as easy as the TV shows make it seem. But with some basic best practices, you can make some serious money. I’ve invested in rental property for over 10 years now, and I’ve learned some tough lessons. However, I’m more bullish on real estate investing than I ever have been. There has never been a better time to be a landlord in America. Real estate doesn’t change much, as it can take decades for a property to appreciate. What can change rapidly is how you manage your properties. Drive around and/or read the newspaper classifieds to find available rental properties. Call and schedule a tour of the property. Fill out a paper application. If accepted, they would meet you at the property, an office, or a coffee shop to sign the lease. If you’ve used any kind of technology in the past five years (like a smartphone), you’re aware of the benefits. Real estate is prime for disruption because many agents and investors are using technology from the 90’s. Housing is a commodity and isn’t, by itself, personal. However, people crave personalization and want to feel special. If you are targeting a particular demographic, think of how you can offer extra and personalized features to the property. One of my friends caters to senior citizens, for example. He makes sure his doors are 33 inches wide and that the properties have security systems. I like to target energy-conscious tenants. Even if you don’t personally care much about the environment, you probably don’t like having a high utility bill. I suggest getting the first-generation Nest to save money. Nest is a programmable thermostat. Although programmable thermostats have been around a long time, the Nest is different because of its simplicity of use. My wife installed ours in less than 10 minutes and had it integrated on her iPhone in fewer than five minutes. And best of all: The Nest learns your behavior and automatically adjusts its settings. A Nest pays for itself in about a year. Another great item to personalize a property for your energy-conscious tenant is the Philips Hue lightbulb, a programmable, color-changing LED bulb that gives users flexibility over the color of light emitted. This allows you to set the mood for any occasion. What happens when one of your tenants gets locked out? Many tenants live on their smartphones and enjoy the productivity benefits. So consider adding a smart lock that can open with a key or bluetooth. This is a benefit to tenants in case they need to let a friend in, and it’s a benefit to you as you can grant temporary access to maintenance workers. Offline and paper-based transaction methods are time-consuming and costly. The cost with using a paper-based system is with the extra time it takes to sort through paper-based applications, screen tenants manually, and process checks. This problem is exacerbated in my business, since I have a business partner and we like to share information. To solve this, I use Cozy. With Cozy, all these processes are fast and easy because we have a company log-in that we both use. The number one complaint I hear from tenants is that their landlord doesn’t accept electronic payments. Making tenants write a check and mail it to you is not timely, efficient, or convenient. Other tenants want to pay in cash, which requires you to collect in person, which is also inefficient. Cozy offers a way for tenants to pay their rent electronically. If your tenants set up an ACH transfer, payments are deposited within 3-5 days of the tenant initiating the payment, and it’s free for them. If your tenant pays with a credit card, they pay 2.75%. The money is deposited 1-2 days after they pay. I encourage you to visit the “How Payments Work” section on Cozy’s website for more information. Branding your business by clearly communicating who you are to the public can be beneficial. We know you have everybody else’s coffee mugs, so we thought you should get glasses. I guess my brand is getting around! Business cards are often thrown away, but coffee mugs with the name of your company and phone number are incredibly useful. You can also offer a monthly giveaway for local products and services. The cost of this branding doesn’t have to be expensive, and the payoff from longer-leasing tenants and referrals can make this a huge return on investment. With wireless connectivity for several applications in your properties along with Wi-fi that is sometimes public, security will be the forefront of any conversation about technology advances. As landlords, we collect a lot of information about our tenants: names, phone numbers, address, income, workplace, next of kin, references, etc. It’s not too farfetched to think of personalized services based on this information. However, what would happen if this data were stolen? I recommend taking extra security precautions with internet-based tools such as using a password manager like 1Password, which saves all your PINs, passwords, and even credit card information in one place. When you need to sign into something, you just have to click once. 1Password information is encrypted, so you never have to worry about that information being hacked. Jimmy is a multifamily real estate investor and bank credit officer.